Wasn’t the United States just sending weapons to the same Al Qaeda these surveillance program are supposed to protect the public against? This is how stupid these judges and bureaucrats think the public is. 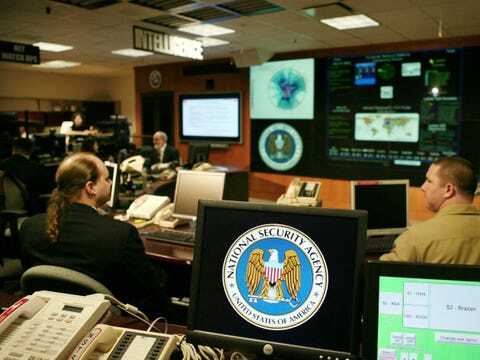 So the NSA mass surveillance is to continue and ruled constitutional because the same organization the US was sending weapons to(Al Qaeda) this mass surveillance program is supposed to protect American citizens from…? in a written opinion that the program lets the government connect fragmented and fleeting communications and “represents the government’s counter-punch” to the al-Qaida’s terror network’s use of technology to operate decentralized and plot international terrorist attacks remotely. Then this idiot judge goes on to say the mass surveillance program works because it is so broad in collecting data. It works? Did it work for the Boston Bombers? What terrorist plots has this mass surveillance program actually stopped? It’s ok though, Scumbag Obama gave a speech and said the program would include more ‘transparency’ since all Obama has to do is say something to make it come true, even though he always turns around and does the exact opposite of whatever he says he’ll do. Morell gave an interview in the aftermath of the task force report that included a call for the expansion of the program to include emails. He also confirmed,as was stated in the earlier column, that the report actually did not include any substantial change for the program. In an angry exchange with Barack Obama, Angela Merkel has compared the snooping practices of the US with those of the Stasi, the ubiquitous and all-powerful secret police of the communist dictatorship in EastGermany, where she grew up. The German chancellor also told the US president that America’s National Security Agency cannot be trusted because of the volume of material it had allowed to leak to the whistleblower Edward Snowden,according to the New York Times.